Thurston Manor in Dunbar, East Lothian. Thurston Manor is set in the grounds of a former Scottish country estate, perfectly placed to be a base for exploring this beautiful part of Scotland.Offering an idyllic setting in 175 acres at the foot of the Lammermuir Hills, Thurston Manor is ideal for a family holiday at any time of the year. Seton Sands Holiday Village in Longniddry, East Lothian. At Seton Sands Holiday Village you will find lovely unspoilt beaches, picturesque rolling countryside and a host of fun activities. The park is superbly located just 30 minute's drive from historic Edinburgh. You will find this is perfect base for enjoying this wonderful Scottish region. 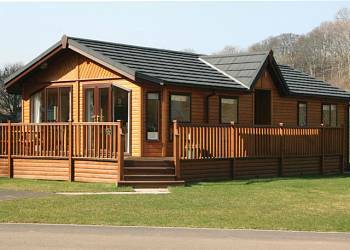 Hideaway Lodges in Edinburgh, West Lothian. 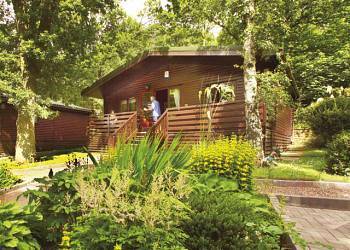 Standing among the broad leaved trees that line the Avon Gorge these beautifully furnished lodges offer the perfect base for exploring the unspoilt beauty of the Gorge and its wildlife including otters.